The romantic history of almost all books by Veer Savarkar apart from the originality and excellence of their subject and style, docs in itself entitle them to get prominently featured in the world classics. 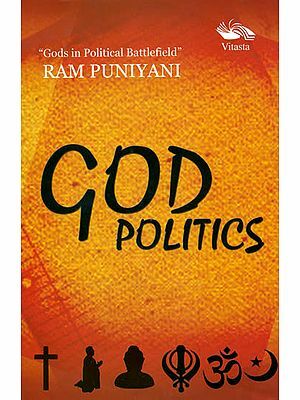 The history of this book on" Hindutva" also does not form an exception to this general statement. (1) It was during his stay from 1906 to 1910 in England that the attention of Veer Savarkarji was drawn pointedly to the question as to who can by precisely called a 'Hindu '. There was a perfect chaos raging in India at that time as regards this problem which owing to the controversy in connection with communal representation assumed an acutely Political aspect. The Arya-Samajists, the Sikhs, the Brahmos the Jains, and several other important constituents which composed and formed along with the Sanatanists the great Hindu community were some times counted as Hindus and at other times as non-Hindus as a whim or fad, a policy or petty interests dictated. From the most eminent scholars 60th Indian and English right down to the penny aliner in the daily sheets, each and all who got interested in the subject tried to define the word 'Hindu '. How the more precisely they tried to define the word' Hindu' the more confounded the confusion grew, could best be seen by the fact that a respectable and studied booklet published at that time on the subject " Who is a Hindu" could collect some fifty definitions of the word which then held the field and how the author of it at last summed up the argument by pointing out that the word' Hindu' was simply unde-finable! 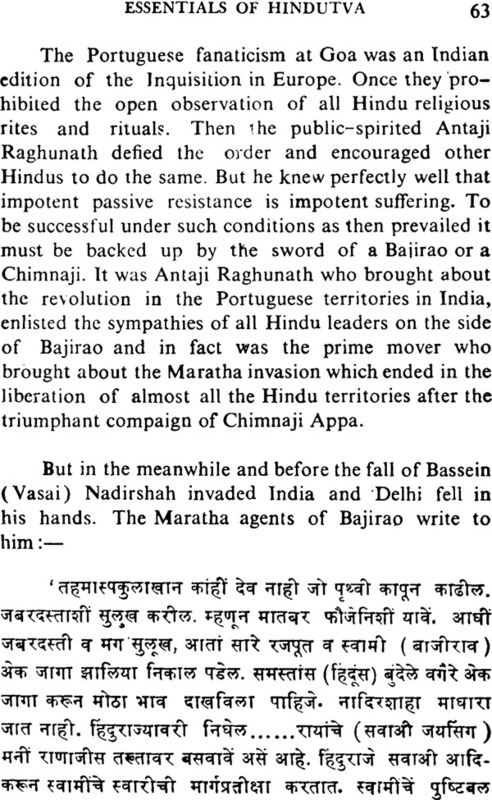 After studying this subject from all its view points Veer Savarkarji came to the conclusion that the real cause of failure in arriving at a comprehensive as well as a correct definition of the word' Hindu' lay in the popular error of identifying the word almost entirely, with its religious aspect alone. By ‘A Hindu' they only understood one who owned Hinduism i.e. Hindu religion. Further on, even this solitary religious aspect was understood and emphasised rather exclusively in its dogmatic or doctrinal forms. But it was very naturally or almost inevitably found that no unity or uniformity could be traced which was comprehensive enough to encompass the beliefs, the dogmas, the doctrines, symbolical or scriptural owned by the crores and crores of people who constituted the great Hindu community. Above all they never grasped the full import of the national aspect implied in the word 'Hindu'. The inevitable consequence was that some scholars and politicians gave up altogether the attempt to define the word' Hindu' and those who persisted in it framed in spite of their scholarly and erudite treatment, definitions which proved either too exclusive or too overlapping. To avoid all this confusion Veer Savarkar decided to approach the question chiefly from its historical aspect and traced the development of the Hindu Race, religion and polity ever since the Vaidic period. While he was thus fixing and co-ordinating the essential constituents of the conception expressed by the word' Hindu', Veer Savarkar was arrested in Eng- land as a political Revolutionist and subsequently sentenced with two transportations for life, amounting to 50 years of imprisonment. (II) Some years after his transportation to the Andamans and his stay in cellular confinement his thoughts reverted again to the question of the definition. He decided to write a brochure on the subject. But where was the paper to come from? or the pen? The possession of a slip of paper even an inch long was sure to get the culprit in hand-cuffs for a week. But Veer Savarkar had long before that, found a way out of the difficulty and secured a store of paper as well as pens which lay at his own disposal. It was the white-washed walls of his own solitary cell that served him as a paper. With a small pointed pebble or a thorn he had already developed a masterly skill in scratching and scribbling on the walls undetected by the watchman poems running into hundreds of lines which lay there till he got them committed to memory as convenience would permit. Thus he had already finished the famous poem ‘Kamala" and some contos of "Gomantak". When the yearly white-washing of the prison wall was over he could get a fresh supply of papers for the next year. It was on the white-washed walls of his solitary cell in the Andamanees prison that the first outlines of this book were sketched, chapters and points fixed and the definition versified. It is as melodious and pleasing to the ear as it is convincing in its inexorable logic to the intellect. Its wording is redolent with an appeal to the dearest and boliest traditions of the Hindu race. It has caught up the incomprehensible diversity and dimensions of a people some thirty crores in count in the two magical words the identity of the Fatherland with the Holyland. This couplet has now come to exercise the authority of a quotation from holy scriptures. Large sections of the Hindu public have actually been inquiring every now and then the name of the Smriti and Puran from which this couplet is quoted. The Hindu Mahasabha and the Hindudom in general from Kashmir to Rameshwar have enthusiastically acknowledged it as the best possible definition of the Hindu-Nation. Apart from the religious aspect involved in the conception of the words 'Hindu' and 'Hinduism' Veer Savarkar had to coin some new words such as 'Hindutva', 'Hinduness', 'Hindudorn' in order to express totality of the cultural, historical, and above all the national aspects along with the religious one, which mark cut the Hindu People as a whole. The definition is not consequently meant to be a definition of Hindu Dharma, or Hindu religion. It is a definition of ‘Hindunees.' It is essentially national in its outlook and comprehends the Hindu People as a Hindu-Rashtra. 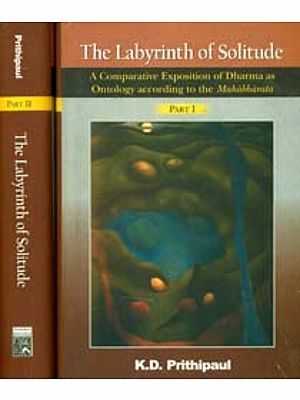 (III) After having fixed and committed to memory the outlined sketch of his intended work and the versified definition Veer Savarkarii discussed it all every now and then with some of his learned compatriots and co-prisoners in the Andaman jail, in the latter half of his imprisonment when they could sometimes meet together. The only way therefore to convey a part at least of the literature he wrote or composed in the Andamans was to get some of his compatriots who were due to be released from time to time, to commit to memory some of his poems and the outlines of his literary works. Thus it was by oral recitals that the definition and the leading arguments were re-transported to India by some of the political prisoners as they got released and reached the Indian shores during 1917 to 1919. Then they arranged to send copies of the gist of this treatise along with the definition to a number of prominent Hindu Sanghastanist gentlemen throughout India. This is the fifth edition of Veer Savarkar's Hindutva. Much water has flowed under the bridge since the first edition of the book was published in 1923. India has got independence yet she is a weak nation in confrontation with a nuclear power. Yet Savarkar's book is for all time. The principles inunciated in this book will guide Hindus as well as non- Hindus of this country for centuries to come. It is interesting to see how the predictions made in this book have, without 'a single exception, come true. Many scholars who had tried to define the terms, Hindu and Hinduism, had failed in their attempts to arrive at a satisfactory definition. They studied the beliefs. manners and customs, rites and rituals of the different castes and communities that call themselves Hindus and found nothing common in them. The definitions they offered were either too wide or too narrow or suffered from the faults of being negative definitions, or merely descriptions, Savarkar knew that, though there were differences among the sects of Hind us, yet there was a golden thread that kept t~~united. What was it that bound them together? What were the distinguishing features that made them feel that they were one nation? Savarkar applied his mind to this problem and tried a different approach the historical one, His efforts were richly rewarded. With his profound knowledge of the vedas, the mythology, the epics and the history of India as well as those of other countries he found that the use of the word Hindu is as old as the Rigveda itself, and is associated with the land of the Indus. 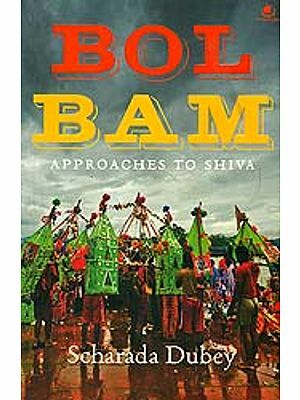 He gives numerous quotations in this book from the oldest holy books of the Hindus, the Vedas. puranas, medieval poetry, the works of Sikh Gurus, modern history and conclusively proves that the Hindus have always used the term, Hind-u, proudly to designate their nation. The concept of Hindutva is Savarkar's own and corresponds exactly to the definition of a nation in modern political theory. The Hindus arc tied together by bonds of a common fatherland, tics of blood, a common culture and civilization, common heroes, common history and obove all, the will to remain united as a nation. The London Times rightly styled Savarkar as father of Hinduness. Savarkar also insists that the term. Hinduism, should include the beliefs or all the sects-both vaidic and non-Vaidic, that call themselves Hindus, This should remove the misgivings of our non-Vaidic brethern. The Hindu Code does not define the term, but gives a description and that too is negative. However, the denotation of the term that it gives is exactly the same as Savarkar' s definition. Savarkur had a way or getting at the essential reality of things. About common blood he says, "After all there is throughout the world so far as man is concerned but a single race-the human 'race, kept alive by one common blood, the human blood. All other talk is at best provisional, a makeshift, and only relatively true. Nature is constantly trying to overthrow the artificial brrriers you raise between race and race. Sexual attraction has proved more powerful than the commands of all the prophets put together." This was not merely a baffling academic problem to which he tried to find a satisfactory solution, though even from the academic point of view his contribution is invaluable. He knew that India must stand or fall with the fortunes of the Hindus. India is the fatherland and the holy land of Hindus. Loyalty and devotion to India would unite Hindus to achieve freedom and to defend it against foreign aggression. Loyalty to one's fatherland and loyalty to one's holyland are the two great forces that govern the national life of a country. When a person or a community is torn between these two loyalties their actions are unpredictable. , These are facts which every realist must take into account. To prove his point Savarkar has given numerous instances from world history. It was necessary to make the Hiudus aware of these common bonds to unite them and to fight fissiparous tendencies among them. As a young man Savarkar was the leader of a 'band of revolutionaries. He was released from the Andaman jail in 1924 and was interned in Ratnagiri. Owing to restrictions placed upon him he confined his activities to bringing about a social revolution among Hindus. When all restrictions upon him were withdrawn in 1937 Hindus of all sects and creeds rallied round him under the Pan-Hindu flag. He led the movement for the freedom and integrity of India. When the Atlantic charter was drafted and agreed upon he sent a cable to president Roosevelt insisting that the Atlantic charter should, be made applicable to India. It was an act of great diplomacy, for his demand caused a stir in America. Articles appeared in leading papers of that country supporting India's demand for freedom. When the question of giving the right of self-determination to Provinces was being discussed between Mr. Cripps and Indian leaders Savarkar, owing to his profound knowledge of Indian history and his ability to interpret it accurately could bluntly tell Mr. Cripps that it would take him years to understand how Hindusthan-India was one nation. Some Indian leaders, however, had a morbid fear of weapons and the people who legally or illegally used them. They 'were willing to concede the Muslim League's demand for pakistan. When it was certain that India would' be partitioned, Savarkar in retaliation led the movement for the vivisection of Pakistan itself. Lord Mountbatten saw the justic of the demand and forced Mr. Jinnah to agree to part with the Hindu majority parts of Bengal & Punjab. In this way western Bangal and easier n Punjab became parts of the Indian Union. Under Savarkars leadership Hindus had their revenge. Savarkar is perfectly logical in his arguments. He meets all objections dispassionately and logically. He is able to convince his opponents because his own convictions arc the result of deep study and clear thinking. But once a theory is proved beyond doubt hi-, writing becomes emotional like that of a poet. His paragraph on the blessings that God has showered upon this country of ours read" like a hymn from the Rigvada. His appeal to the Hindus is immensely insipring. Savarkar was an idealist without being a visionary. He foresees the day when cultural and religious bigotry will disband its forces pledged to aggressive egoism and religions will cease to be 'isms' and will become the common fund of eternal princiciples that lie at the root of all; that will be a common foundation on which the 'Human State ' will majestically and finally rest.